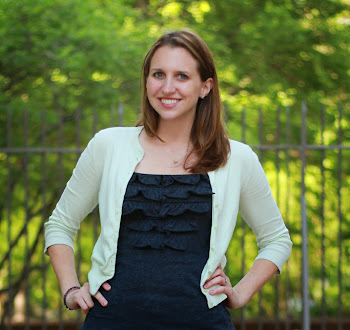 See What Katie Wears: Halloween 2014 + Exciting News! Jon and I are expecting our little one in April 2015! Here's Jon and I at my sister's annual Halloween party this weekend! Since I'm only about 4 months, I had to embellish my baby bump a little bit for the costume. 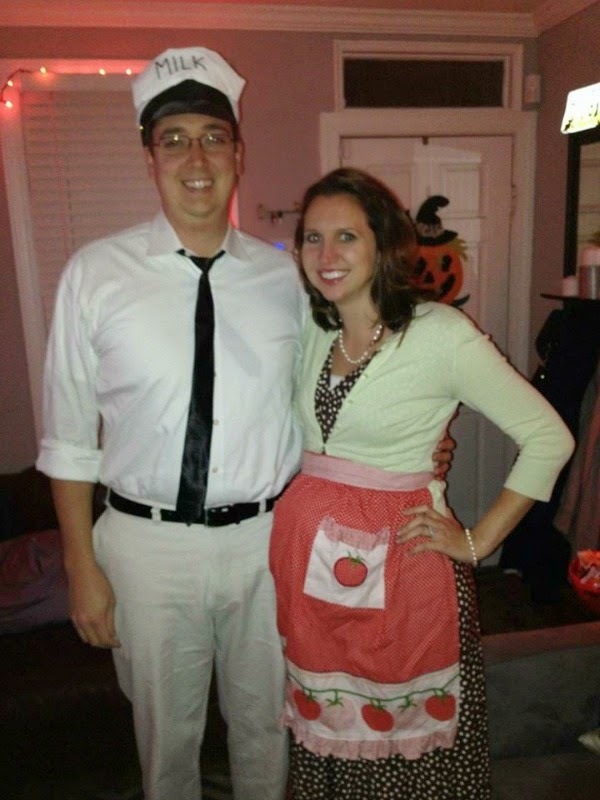 I went as a 50s housewife and Jon went as the mailman. It was a fun and cheeky way to incorporate the pregnancy into the holiday! We got a few good laughs and it was an easy costume to put together. I got the idea from Pinterest, of course! I'm looking forward to sharing more about the pregnancy in the coming weeks! 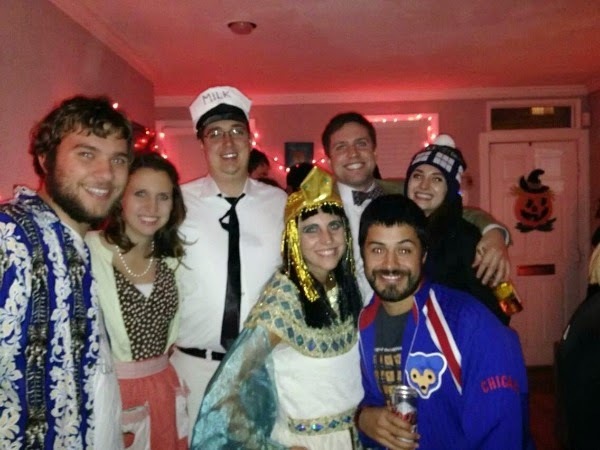 With some of my fun family including: a tourist, Cleopatra, and Dr. Who! 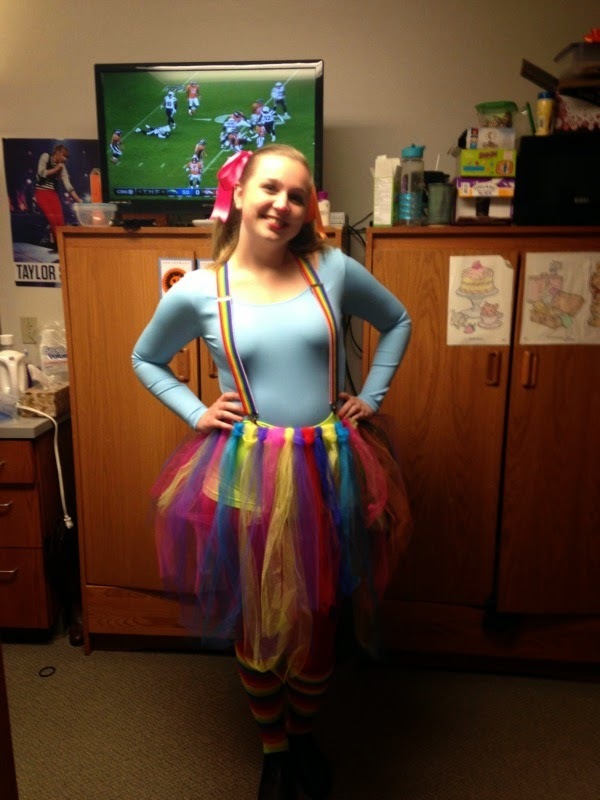 My sister Jenn's cute circus costume, "Giggles!" Linking up with More Pieces of Me & On the Daily Express, Still Being Molly & Lipgloss & Crayons, I Have a Degree in This & Join the Gossip, Claire Justine OXOX. Your costume turned out so great! Gotta love Pinterest! Aw love that you incorporated your bump :) Adorable costumes! Congrats on the happy news, mamma. Love your costume with the round bump. Do you know the baby's gender yet?